Michelle Hodkin is excellent at making you question what is real and what is not, which makes you want to keeping reading on and on as the suspense is too much. 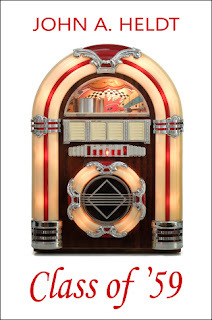 The flashbacks throughout the book were easy to understand and there was a clear switch between tenses. The imagery/ descriptive language in most of the book was fantastic and highly enjoyable to read. The characterisation was also very well done. As I have already discussed my thoughts on Mara I will focus on other characters. Noah was not only handsome, charming, funny and BRITISH, he was witty and exceptionally intelligent. A totally swoon worthy character which I thoroughly adored throughout the book. Although Mara and Noah's relationship had an insta lovey vibe I think the way they continued to be portrayed made up for it. The relationship between Mara and her siblings was immensely strong and I loved how they interacted with each other. The only real issue I had whilst reading this book was that throughout Chapter 45 I was very confused and lost. I may not have been paying full attention in this section or taken it all in, but I felt as though this chapter was worded in such a way that was not easy to understand and therefore I have little idea of what actually happened in that chapter. I did however catch on quickly as it started to make more sense to me and the rest was fine in that aspect. 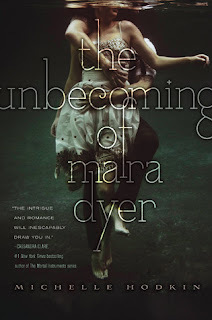 Overall I enjoyed reading The Unbecoming of Mara Dyer and I do recommend it if you enjoy a bit of mystery with hints of paranormal aspects as well as an unreliable protagonist.